Minimally invasive surgery is a philosophy with the goal of achieving all of the goals of open traditional surgery but with less disruption of muscle and tissues, less blood loss, lower infection risk and a faster recovery. Minimally invasive surgery is possible largely through the development of new technology which Dr. Murray uses regularly. Examples include real time 3D imaging which allows the surgeon to approach the spine through small incisions while maintianing extreme accuracy. Do you use a laser for your surgeries? Dr. Murray does not find the use of a laser beneficial to his patients. While there is a lot of marketing and advertising involving this technique, at this point there is not convincing data that the use of a laser provides any benefit above current minimally invasive techniques. While many advertisements and commercials promote laser surgery, we ask that our patients be informed of both sides of the story before making a decision. Please refer to the following article to learn about some of the concerns regarding laser surgery. Should I have surgery by a neurosurgeon or an orthopaedic spine surgeon? 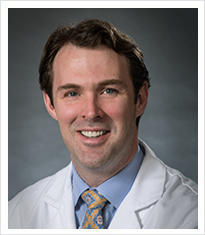 While receiving training in spine surgery, Dr. Murray worked extensively with both neurosurgeons as well as orthopaedic spine surgeons. This allowed him to utilize techniques from both disciplines. When looking for a spine surgeon both neurosurgeons and orthopaedic spine surgeons are highly capable and both largely treat the same problems (neurosurgeons may be preferable for some conditions that involve spinal cord tumors or that involve surgery at the base of the skull). The most important criteria is to ensure that your surgeon is strongly dedicated to the practice spine surgery and that they are not a generalist in their field, performing spine surgery as a small portion of their practice. Spine surgery is generally considered a last resort for certain types of spine problems. Except for rare circumstances, conservative care is the first line of treatment. This may include physical therapy, oral medications and possibly injections. Other treatments such as chiropractic care or acupuncture may also be tried for patients with back pain. How can exercise or physical therapy be better than rest for back pain? Lying in bed causes muscles to weaken, which can impair recovery. Even though activity may be uncomfortable, this doesn’t mean that harm is being done. On the contrary, building strength in the muscles surrounding the vertebrae can help achieve a full return to activity. Also, psychologically, being bedridden can lead to feelings of frustration and hopelessness, which can slow you down. Regardless, studies have shown again and again that activity leads to a quicker return to work.